The Icahn School of Medicine at Mount Sinai said Tuesday that it has created a Center for Biomedical Blockchain Research to evaluate potential healthcare uses of blockchain technology at Mount Sinai Health System. The center will be part of Icahn's Institute for Next Generation Healthcare, which has more than 50 staffers specializing in disciplines such as artificial intelligence, robotics, genomic sequencing, sensors and wearable devices. The new center will be able to add a level of academic rigor to the discussion about blockchain in healthcare, said Noah Zimmerman, the institute's director of the health data and design innovation center in Redwood City, Calif., where half the institute's staff is located. The other half work in Manhattan. "There's not a technological solution that is going to save healthcare. We're trying not to be part of the blockchain hype cycle," Zimmerman said. "We want to balance that out. That's what we're adding as an academic medical center joining the fray." Blockchain is a digital ledger of transactions that is shared among a network of computers but not controlled by any one entity, such as a bank or the government. Users can inspect the transactions which are encrypted to prevent tampering. Blockchain is used to track transactions for digital currencies, such as bitcoin. But innovators are also looking for applications that address ways to share health data securely. Stanford University runs a Center for Blockchain Research and last week Columbia University and IBM said they would create a Center for Blockchain and Data Transparency that will focus on data security and incubate new companies. "The thing that differentiates this is that this is not just an academic center but an academic medical center," Zimmerman said. "We're the first people to drill into the biomedical and healthcare use cases for blockchain as a focus area." In addition to academic projects, the Mount Sinai center will allow the institute's researchers, many with engineering backgrounds, to create prototypes of their own. It will also partner with technology and healthcare companies experimenting with blockchain to help apply the technology outside of academia. As one of its first projects, the center has created a database of 144 companies that are working on blockchain projects for health and biomedical uses. The companies have raised a combined $670 million through initial coin offerings and venture capital funding, according to the database. It includes two New York companies. CoverUs, based in Brooklyn, plans to allow users earn royalties from their health data in a blockchain-enabled health data exchange. Manhattan-based Embleema, which launched this month for patients and providers, connects patient-generated health data and electronic medical records in a secure repository. Zimmerman cautions that blockchain is still in its infancy, comparing the current progress to the building blocks that shaped the internet. "The projects that are most interesting are building the plumbing of the ecosystem," he said. 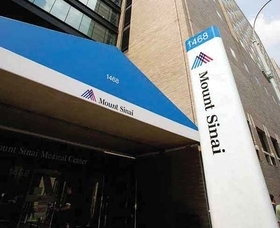 "Mount Sinai creates center to study healthcare applications for blockchain" originally appeared in Crain's New York Business.